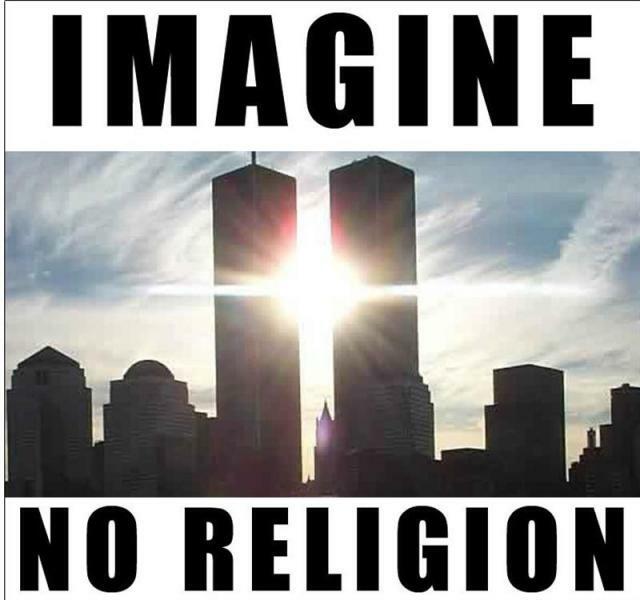 imagine no religion. . Wallpaper and background images in the Atheism club tagged: imagine no religion 911 wtc. This Atheism photo might contain business district, downtown, anime, comic book, manga, and cartoon. I'm pretty sure there would still be suicide bombers.